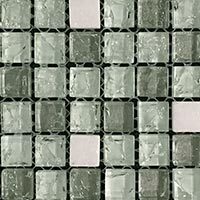 If you’re on the lookout for a wall feature which will provide a stunning focal point in any room then these Patchwork Moma Mix Glass Mosaic tiles might just be the perfect option. 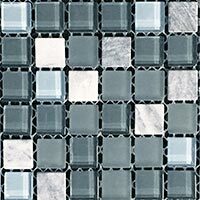 These mosaic tiles have a distinctive look comprising of a combinations of patchwork and plain white squares. 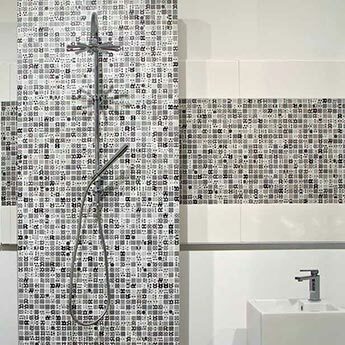 Bring your bathroom to life with these patchwork mosaics. 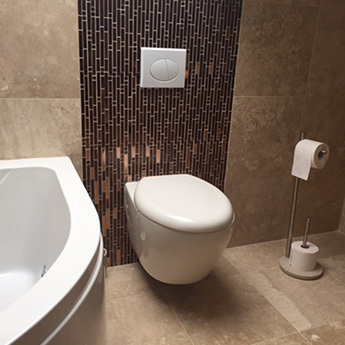 They complement the look of standard white wall tiles extremely well as part of contemporary designs. 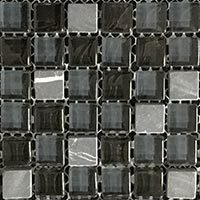 These tiles are ideal for shower areas, with the black and white colours matching superbly with modern chrome bathroom fittings. 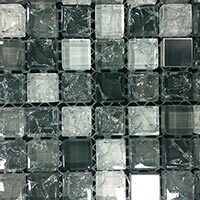 These mosaic tiles are supplied on 316x316mm mesh sheets which makes them easy to adjust. 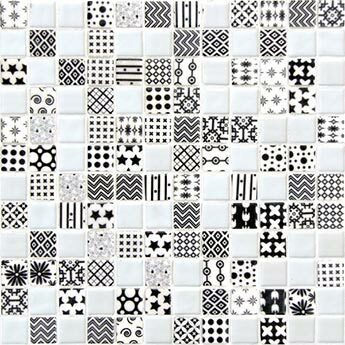 You can even use them as a border décor to complement standard format tiles. 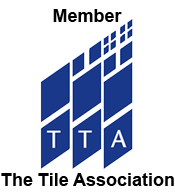 If you are interested in using these tiles as part of your next design project then you can take a closer look at them by ordering a sample.